It was a foggy morning at Camelot Golf & Country Club in Ottawa, but when the skies cleared up and second round play got underway, there was nothing nebulous about Italy’s performance as Alessia Nobilio and Caterina Don both fired rounds of 6-under 66 to give Italy an 11-stroke advantage atop the team leaderboard at the 2018 World Junior Girls Championship. Italy is now at 17 under for the championship, followed by Team USA in second place at 6 under and Thailand in third at 4 under. Rounding out the top five are France and Sweden, who share fourth place at 1 under par. France was the second-lowest scoring team today, with an aggregate second round score of 5 under par (139). Nobilio, a 17 year-old Milan native, carded a second-straight 66 on Wednesday to take a comfortable seven-shot lead at 12 under par. A trio of golfers trail in second place with a tournament score of 132 (-5). American Brooke Seay and Thailand’s Atthaya Thitikul both shot 1 under 71, while Italy’s Don, also 17, fired a sizzling 6 under score to match her teammate’s low round of the day. Italian coach Enrico Trentin could not have been more pleased with his players’ efforts today. “It was really a great day, with Alessia and Caterina both shooting minus six. 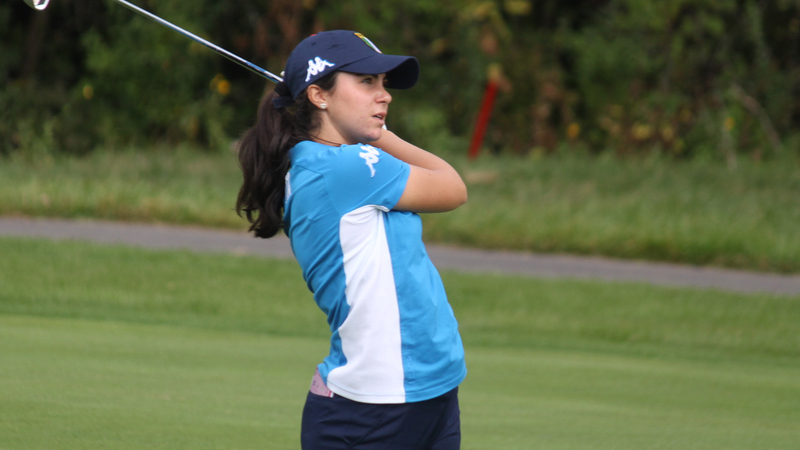 We were really solid from tee to green,” said the caretaker of the Italian squad, who is just coming off a terrific performance at the World Amateur Team Championships in Ireland, finishing in 6th place. “We had a great practice this morning and we really tried to understand the greens. Because they are so fast, it’s important to understand where to hit the second or third shots and be in a good position to putt for birdie,” reported Trentin. It was a dominant performance across the board today for Italy, as both individual and team leaderboards are paced by the tricoloured flag on the eve of third round. Canada One, featuring Céleste Dao of Notre-Dame Ile Perrot, Qué., Ellie Szeryk of London, Ont., and Tiffany Kong from Vancouver, B.C., dropped one spot to 7th place with a performance of 2 over today. Emily Zhu (Richmond Hill, Ont. ), Sarah Beqaj (Toronto, Ont.) and Lauren Kim (Surrey, B.C.) who make up Canada Two, trail behind at 22 over par in 17th place. Dao is the top Canadian in the individual competition with an overall score of even par, good for T8.